West Track had a Tri meet with Skyline and Murray yesterday and won the majority of events!!! Really proud of our kids for repping West and getting round and cheering eachother on. Great job guys!! Track and Field is doing team apparel with a team store this year. Check it out!!!! 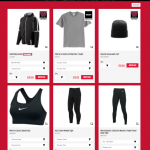 Shop the Track & Field Spirit Pack Store! Hurry, shops closes 01/31/2019. 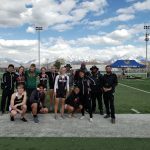 We had a group of athletes compete at the BYU track meet this past Saturday. Had some great performances ! Great job Athletes: Magnus Tveit, Reis Tveit, Andrew Roach, Torin Turner, Elle Deschesne, Nel Bernard, Willa Gibson, Greeley Johnson, Simone Wrathall, and Teya Wright. Practices are on Monday, Wednesday, and Thursdays. 2:45pm to 4pm. www.registermyathlete.com registration needs to completed before practice on Monday December 10th , otherwise you will not be allowed to participate. Outdoor season starts February 25th.